I catered the first day of school for Richard's old masters programme a month or so ago, and needed to make a non alcoholic drink that was cheap and easy, and that people could put together themselves. I wasn't too sure as to what to use, then when I was making this cake for one of our episodes of distant kitchens, I popped a little bit of the orange thyme syrup into my soda water and suddenly realised that it worked perfectly. (I am in no way trying to claim ownership for inventing simple syrup here!) Half pissed off at myself that I hadn't thought of infused simple syrup and soda earlier and half stoked that I had found a drink I could use for the event, I played around with a couple of combinations and ended up serving a couple - a rosemary syrup, an orange thyme syrup, and this here Lemon and basil combination. They were a giant hit - I served the syrup in pour bottles alongside a big drink container of soda, and guests were able to mix up their own drinks. There is something about herbs in drinks - I love it! The taste of the herbs gussies up boring soda water, and also offsets the sugar of the simple syrup. The possibility of flavour combinations is literally endless - simple syrup is a 1:1 sugar to water ratio. 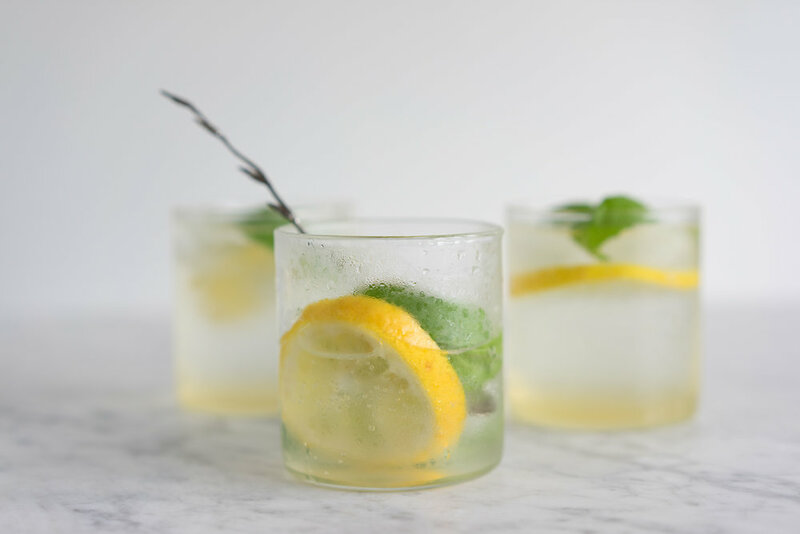 If you are infusing with a herb then add that, and if you are flavouring with a juice, sub out some of the water for the juice, and there you go! 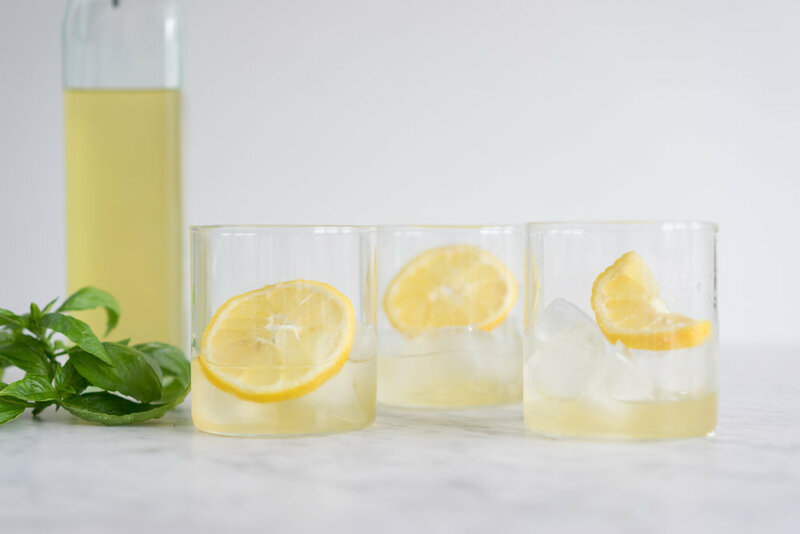 The syrup, due to the high sugar content, keeps really well in the fridge, so is great to have on hand for adding to drinks or cocktails. You only use a tablespoon or so at a time when serving, so a little goes a fairly long way. I am yet to add alcohol, but I honestly can't see that going badly. Place water, lemon juice and sugar into a small pot over medium heat. Heat until sugar is totally dissolved, then add basil leaves, and leave to infuse as the syrup cools. Cool completely and transfer into a bottle. To serve, fill a glass with ice cubes. Add about a tablespoon of lemon basil syrup (you can adjust this to taste), and top up with soda water. Garnish with lemon slices and basil leaves. Store syrup in the fridge in a sealed bottle.